In 1920 Val d’Isère was just a small village nestled in the hollow of a valley that lived to the rhythm of the seasons. Its inhabitants enjoyed the winter for six months of each year, focusing their lives on the economy of the time; local agriculture. At this point in time, with the world of technology and travel changing quickly outside the borders of the valley, people turned their thoughts to the future of both the village and also it’s younger population. Very soon the wave of winter sport would change the destiny of this village. The combination of exceptional amounts of snow, terrain with good orientations and a large ski domain gave Val d’Isère the perfect foundation for a successful ski resort. The construction of the Col de l’iseran path in 1937 opened a road traffic between italy and the Tarentaise valley, providing the area with instant footfall. It was just after WWII, in 1945, that Val d’isère finally became ready to welcome worldwide ski tourists. Farmers became hoteliers, retailers or ski teachers, and the village moved from its old way of life, to a new one, changing the lives of the people that lived there, but keeping the traditions upon which the village was built. 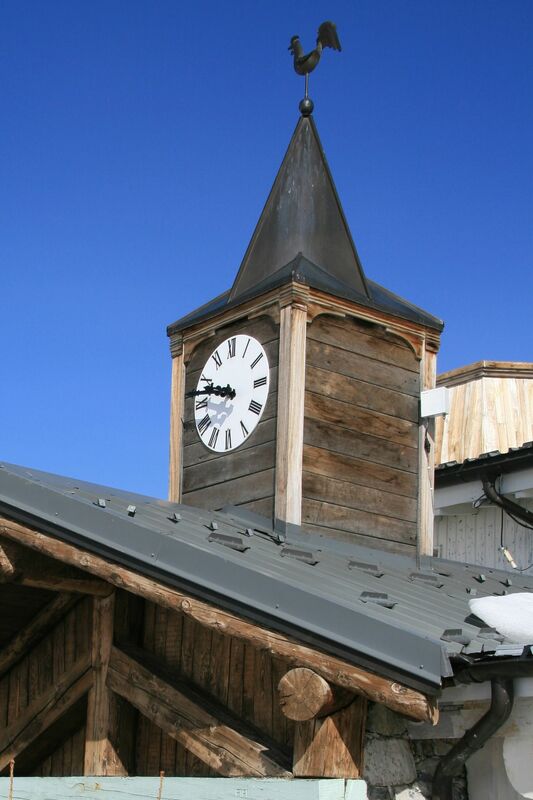 This welcoming atmosphere gave Val d’Isère instant notoriety in the world of ski tourism. Add in its massive ski area and the village quickly enjoyed international popularity. 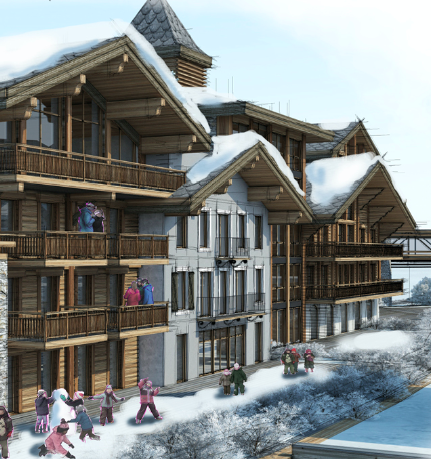 Planning for the children of Val d’Isère has almost been the most important aspect of the village’s growth. Le Coin de Val will reflect this, putting the ‘avalins’, «children of the country» and also those who have since come to call it home, at the heart of this careful redevelopment. Winter 1931-32: First ever ski season, opening of the «Hôtel Parisien», and creation of the first ski school. Winter 1937-38: Creation of «la Société des Téléphériques de Val d’isère». 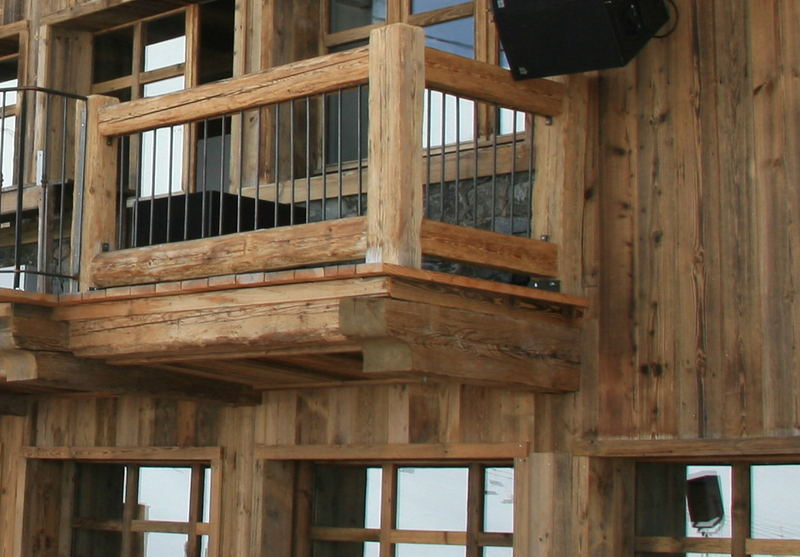 Opening of le Rogoney Teleski. Large car parks with underground access will move automotive traffic below the ground, making above more pedestrianised, peaceful and safe for everyone. The old charm of Val d’Isère’s ancient old town will be reinforced by the creation of charming narrow streets, intertwining commerce and mountain life. “Parc des Sports” street will allow skiers to ski right back to Avenue Olympique, shortening the distance to the resort’s “front de neige” for almost everyone the village. One of the most important aspects of Le Coin de Val is the architecture. The new buildings will recreate the non-systematic design of old alpine villages, with large constructions being avoided to retain this aesthetic and hiding the world-class infrastructure and organisation taking place underneath. 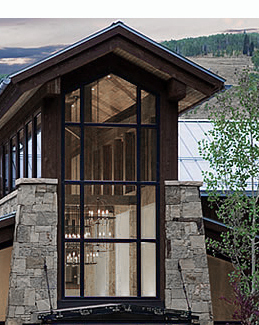 Buildings of different heights will alternate materials used for construction, with slated roofs in old stone, and wood or plaster façades aiding this effect. The various businesses of Le Coin de Val, among which feature several local families, will take advantage of this overall operation by enabling them to rethink their offerings and adapt to requirements and expectation of the 21st century client. 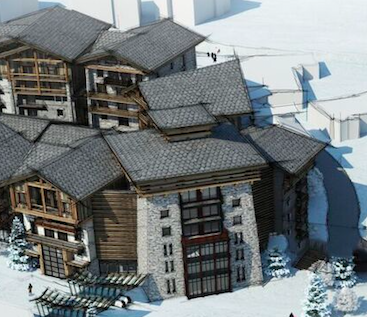 Of course they will do this without deviating from the authenticity that is loved by Val d’ Isère’s wider permanent population and its yearly visitors. More new shops and restaurants will also be created. In the same way as the shops, hotels and apartments will also correspond to the current demand of the guests in the resort. Authentic but cozy, comfortable, long-lasting and connected accommodations for cosmopolitan and globe-trotting clients looking for the real spirit of the Alps. Since the dawn of time, well before the era of skiing and long before globalization, local farmers and traders built their homes with the materials available in the valley: stone for walls and roofing, lime plasters to insulate walls and wood for framing. Now in 2017, the techniques of construction have significantly evolved to accommodate comfort and energy savings, however, it is also this use of traditional local materials that will give all its charm to the hamlet. 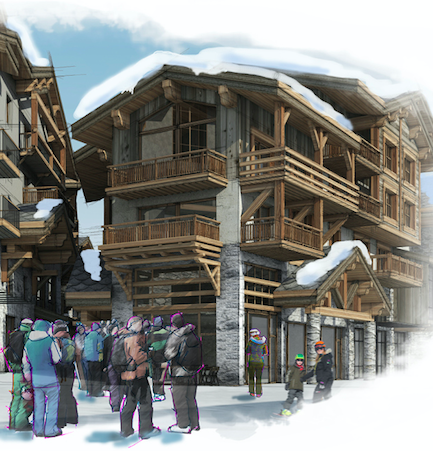 Inspired by the 14th century Montmayeur medieval tower in Aime, it will not be part as its dean of a defensive set intended to protect the Corner of Val, but at most it will protect its hosts from the vicissitudes of the modern world during their stay in Val d’Isère. This new icon of the station will be the ling between the Olympic Avenue and the entrance of the Val-Village.